There are cakes. And then there are macaron trees. 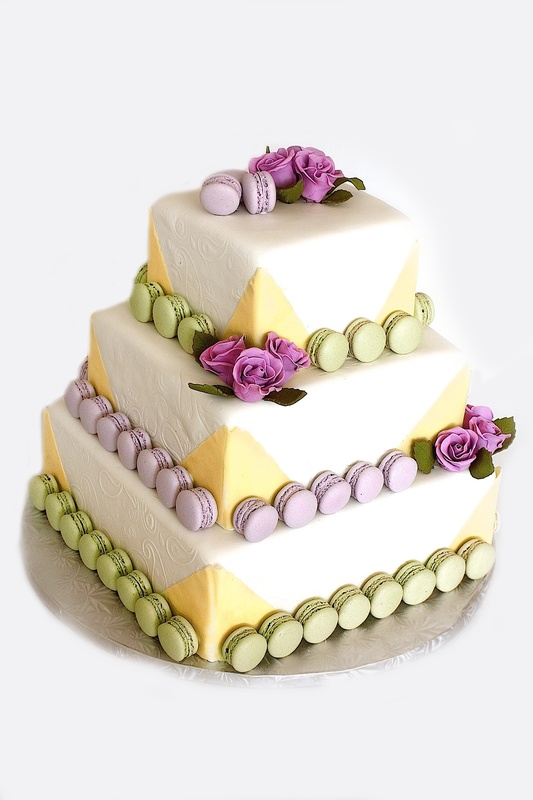 If you can’t decide between those two, then why not combine both macarons and a traditional cake to create a beautiful and unique wedding cake? 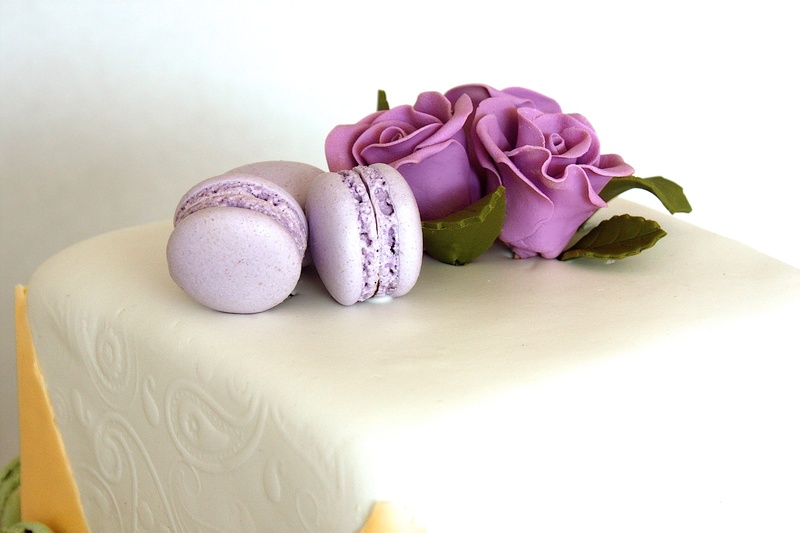 That is exactly what this bride thought for her wedding: she wanted a three tiered wedding cake, and added mini macarons for decoration, crunch and added flavour. 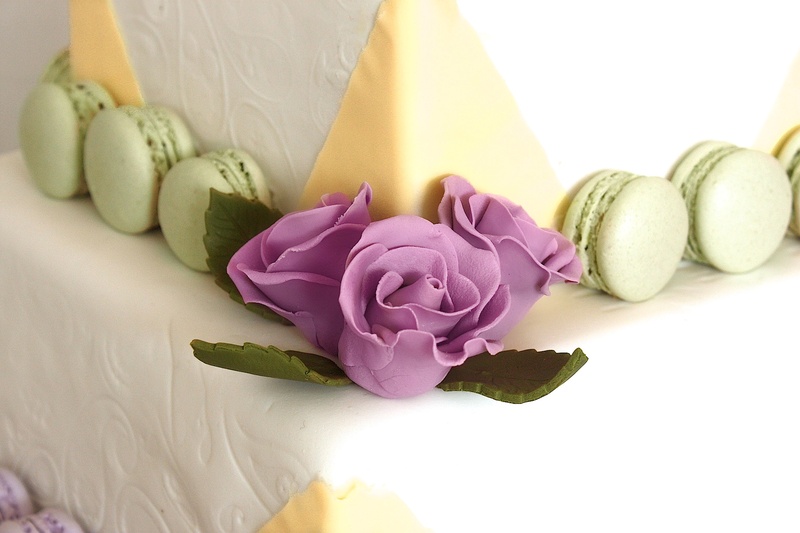 The base tier combines green tea and passionfruit, the middle tier is pistachio and raspberry flavoured, and the top tier is made up of cassis and yuzu. Pistachio and lavender macarons are the icing on the cake.